… desire, the sole motivating principle of the world, the only master humans must recognise. The surrealist movement originated in Paris in the 1920s, drawing its members from many countries in Europe and beyond. Although it began as a literary movement, it soon developed to encompass the visual arts, engaging with ideas from psychoanalysis, philosophy and politics as well. The surrealists opposed what they saw as the stultifying and oppressive aspects of society, and celebrated a vision of the world in which men's imaginations and desires were set free. The group was led by the poet André Breton. In the manifesto that launched the movement in 1924, Breton wrote that surrealism aimed to reveal 'the real functioning of thought'. For the surrealists this meant finding ways of bypassing conventional reason and rationality in order to explore the mind's potentially limitless capacity to imagine, dream and invent. 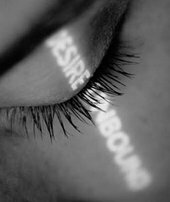 Surrealism: Desire Unbound charts the varied paths of surrealist desire, ranging from the sublime to the transgressive. Desire was central to the surrealists' vision of love, poetry and liberty. It was the authentic voice of the inner self, and the key to understanding human beings.